It took me awhile to pick this book up, not because I didn’t want to or because I didn’t like Lady Midnight (I read that book twice) but there were no good reasons for it. But the release of Queen of Air and Darkness prompted me to finally read this book. 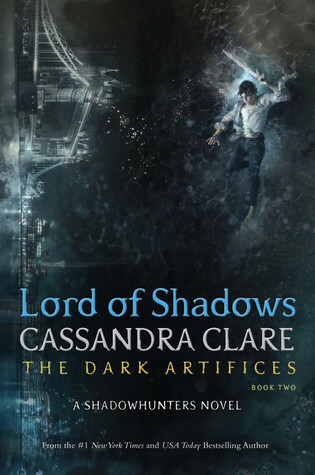 I give Lord of Shadows by Cassandra Clare four out of five hearts because it was an interesting story and it made me want to read Queen of Air and Darkness. Lord of Shadows was very dark and left me longing for the last book in the series. Julian and Emma get tempted to the extreme. They finally get to show each other how they feel. Julian is tempted by the Seelie Queen who can help him break the parabatai bond between them and their sacrifice would be steep. I loved the other kids and Kit. They had their own story and their own wishes. Diana, their tutor, finally gets more background story and it was pretty interesting. I wouldn’t mind if there was a short story to come from this. I think the stories are much better working together than ever and Cassandra Clare is becoming a much better writer.